The first step is to present your learners with a challenge. It can be any realistic situation that challenges your learners’ understanding on a given topic. 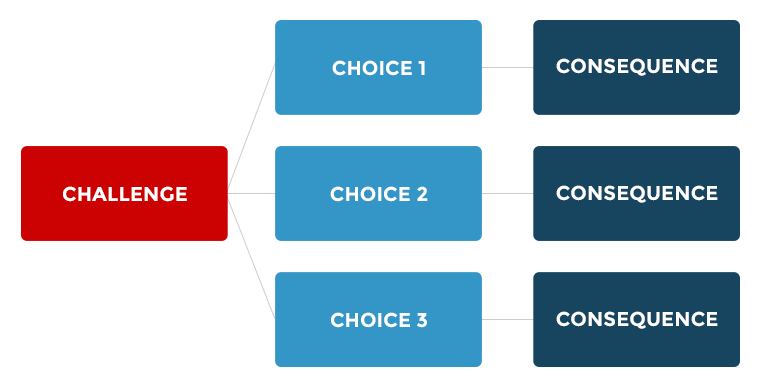 Next, provide meaningful choices that allow your learners to make a decision. And finally, provide the appropriate consequences (feedback) for each of the choices. Here’s a good example of how scenarios can be used to teach learners about scenarios. Very meta, right? I like how Jackie used challenge activities to give learners an opportunity to practice using the design model. 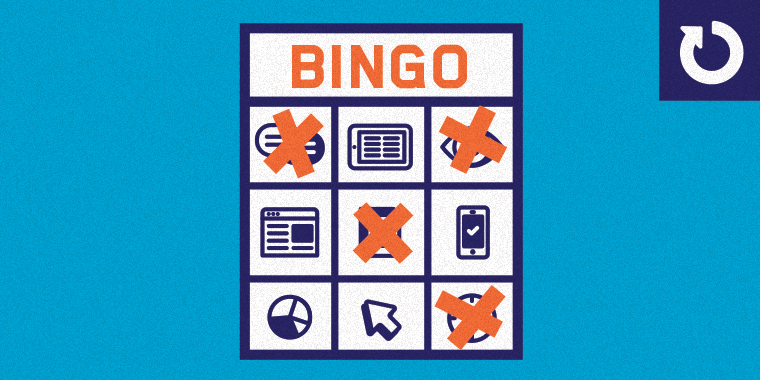 Scenarios don’t have to be rich in multimedia and visual design to engage learners. Consider the following First Aid Exercise scenario. The countdown timer adds a nice element of urgency to the scenario. 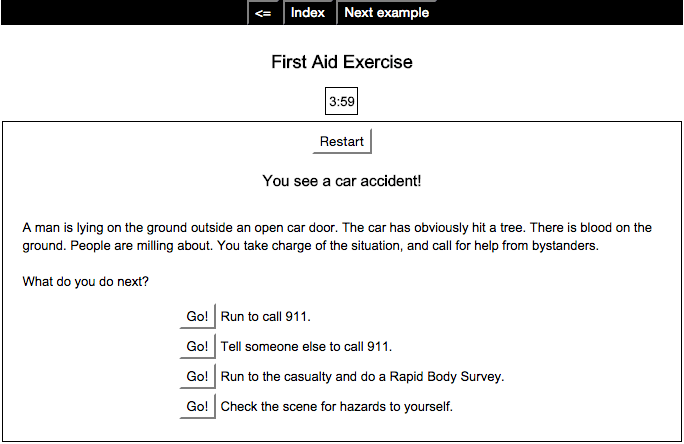 If you want to take it easy this week, try building a text-based scenario like the First Aid example. For those looking to push the limits, show us what you can do by building on the 3C or CCAF models. 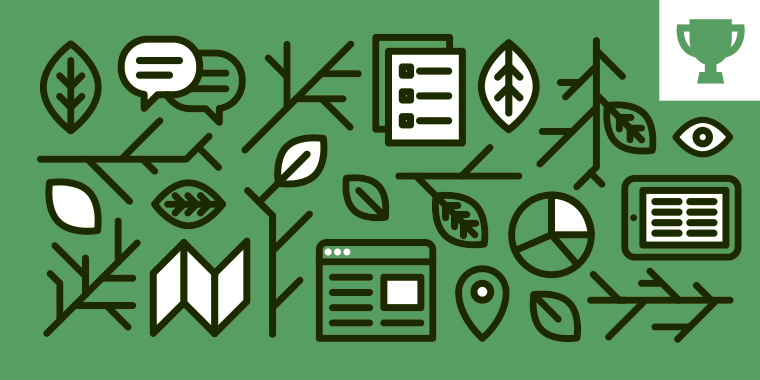 The weekly challenges are ongoing opportunities to learn, share, and build your e-learning portfolios. You can jump into any or all the previous challenges anytime you want. I’ll update the recap posts to include your demos. +10 for enthusiasm, Veronica! I fell like we should do more on scenarios since it's clearly one of the most popular topics in the industry. Glad you're psyched about this one! It's time to get AWESOMAZING!! DANG Linda! Talk about leading from the front ; ) Very cool sample. Thanks Alex, glad you're still awake! Love this Linda - it is a perfect example! Hey Linda, I really like how you have to justify your choice, and the options are all really quite feasible, great work! Thank Veronica, that's what I liked as well, plus I don't think that the correct answer jumps out at you as the only possibility. Spot on Linda!!! Perfect example! Nice job Linda. I like the large, clean character you used. The drag and drop is a nice feature. Thanks John and Todd. Actually the scream was supposed to be the waitress because she spilled the hot coffee on herself, but a screaming guest works too! This feels like a cheat but my Ninja game is a branching scenario http://www.test.elearninglaboratory.co.uk/Guru/story.html If you are less than 6 it branches to different game and has male/female Avatars, also each individual game branches, and if you fail is randomises to one of 5 fail screens. Still feels like i am cheating. Yes, Golden Guru! Cheat it feels like you are ; ) No shame in your game Phil, the Ninja game is pure awesomeness. Looks fantastic Phil, love the style! I need to find some time to start doing challenges again. I may not be the best person to comment, it may not be cheating we are up cycling our archive :-) As always great examples of what you can do! Edited I wish I could proof read! Wow thanks so much Veronica. I think that is the nicest thing anyone has ever said about my stuff. Hi Todd, you got it. I used CrazyTalk. I love that tool. Here's something I threw together a little quickly this evening. It's got pretty minimal branching in it, but I have limited time this week to pull things together :) http://www.ohthatrachel.com/elearning/branchingscenario99/story.html Based on a project I'm working on at work. Nice. I like the choices offered. That is a great entry Rachel! I can see how you could add so many scenarios, variables and choices. I also really like the graphics you used (did you make them?) and the script is great too! Well done! This is a great concept for branching Todd, welcome to the ELH Challenges. Todd, I think that your use of Storyline shows some advanced practices i.e. state changes with timeline triggers, etc. The main suggestion to improve this course is to reduce the cognitive load by making a choice: Either have audio with illustrations of the concept explained (no text) or text with animations and no audio. The text and audio combo would tend to overload the users attention span. Perhaps your target audience involved visually impaired learners, but in that case I would try for 508 compliance modifications. Hey Todd, Welcome to the challenges. I'm so glad that you asked for constructive feedback because sometimes I know that I could offer suggestions to improve a course, but I don't want to discourage anyone, especially a newbie. I've worked in design and can give you a few tips to improve the look of this course. 1. Don't center all of your text. Look at how text is laid out in a book or a magazine, sometimes the title is centered, but the text is usually left justified. Left justified text is easier for your learner to read. 2. Resist the urge to put boxes around everything (especially text). A page of text is less overwhelming and easier on the eyes when there is some empty space around it. Get layout ideas by taking out a design book from the library. Magazines and websites are great resources too. Develop a good eye for design, take note of what you like in a design and use that in your projects. The best way for anyone to improve their work is to be open to feedback, learn as much as you can absorb on your own and incorporate that into your projects. Remember every Articulate user here was once a beginner. Here is my entry this week: http://googledrive.com/host/0ByzbBVnpwyISY2YwOUtaRGlld0E/ I put up this together based on an old project I was working for. I thought it would be fun to take a small portion and come up with an illustrated version. Nice project Dongxue, I like the way that you gamified it, that always adds to the fun. I just noticed one small typo at the beginning, the word "Welcome" needs an "e" on the end. That looks very nice and clean Dongxue, well done! Todd welcome to the challenges! I'm also a beginner and I can confirm I've learnt a lot from other's comments and ideas. I'd suggest you change the first slide after the cover, I find it difficult to track the message when all the characters are changing poses. Human eye is automatically attracted by motion, so in this case if you want to give a clear message, why don't to try to make it static, only one character holding a big signal, for example? Thank you Veronica! Those images are just taken with my cell phone camera at my work and I used Cinema 4D to create the lettering and animation and then mixed it all together in After Effects. I plan on going through the past challenges and entering some of my work in there as well. Nice entry Brian. It looks quite professional. Welcome to the group! Oh this reminds me we need to do a service industry challenge! I've received quite a few offline requests and totally spaced on adding to my challenge calendar. I really like the practice idea of trying different greetings. I know one franchise that asks their servers and customers to video their greetings and send those clips to corporate. It's kind of a game with them. Thanks so much for joining the challenges this week, Brian! Thank you for your kind words David. I'm pretty excited to be involved in this group. I'm looking forward to learning as much as my mind can soak up. I'd love a service industry challenge! That would be right in my backyard! Hey Dianne, I really liked your scenario and I can see the potential for expanding it. Especially, I really like the design, with all the white space. I love that it doesn't look like an e-learning course at all. In fact, on the very first slide I didn't realise I was in a Storyline course! Beautiful work! Thanks Veronica - yes, I have seen this type of design a couple of times now and thought I would have a go doing something different like this. Dianne, I really love this scenario. It worked very well with this layout. Thanks Linda. My first real attempt at a scenario - so really appreciate your comment. Hi Dianne, this is great all around. What were your resolution settings? I have a 27" touchscreen and it worked like a charm. My only suggestion would be to bump up the body font size just a pt or two. Thanks Alexander - I too have a large monitor, so hadn't thought about others having trouble reading the text. I'm just experimenting with the Storyline story size now - if this doesn't help, I'll adjust the font size a little. Thanks for the tip. I've now updated the link - I think it's much better now - thanks again! Thanks for the feedback Todd. The heading font I used is Raleway - a favourite of mine. Yes, Atsumi seems to be the default photographic character designers choose when they're just playing around with a design like this, probably because her facial expressions are so appealing. It's well worth looking into buying a character pack - I got mine free as a special offer with the Articulate Storyline software when I purchased it a couple of years ago. It may be worth checking out an E-Learning Brothers subscription at $279 for a whole year - http://elearningbrothers.com/library-pricing/ They encourage you to use the subscription as a library and discourage you from downloading the characters and storing them on your PC, but the subscription is very cheap. I like this Veronica. Thanks for the music link, I hadn't seen it. Don't worry about not finishing the zombie scenario, you'll be right on schedule for the Halloween challenge. Oh cool, Halloween challenge it is! Aaawwwww, no zombies with apocalyptic ambience?LOL I most definitely sympathize with you Veronica, time flies when you are having fun and elearning work! This looks great BTW. Love your design and the background music you chose. Thanks for sharing the music instructions! This is great Alex, super fun! Learning stuff while playing a game, can't be beat. I even love the fonts you used on the titles. Thank you Linda! The concept has been brewing in my head for a while and I'm glad is now real. Very engaging Alexander. I also liked the timer - and the reaction you get when you play a game like this and get the wrong answer!! Hey Dianne! Nice to "see" you here and I love your feedback. I believe the "Incorrect" feedback has special powers when dealing with intrinsic motivation (you just gave me an idea for my blog!). Veronica, as always... very awesome to get your feedback. I will be writing a post on timers which would cover this approach and share it back with all shortly. This is so cool! I really love the timer! Definitely will try it next time. Thank you! Hey nice work Virak, I like the font and you lightbox sequence. This sample is just like Storyline: Simple and Powerful. BTW the "it's for mom" branch cracked me up! Great idea Gerard. I could see this as a great way to engage children, while teaching them fire safety. That looks really great Gerard! a great integration of photos and illustrations. Only one thing: first I chose the female character, went through it and then started again; I chose the make character this time, but it took me to the female branch, you might want to look into that. Otherwise, awesome job! Hi Gerard, Legos are always a winner concept. I didn't have Veronica's issue on testing but, perhaps it has to do with the slide properties. Try setting the revisiting to "Reset to Initial State"
Thanks for the useful feedback guys, I'll do a bit of work under the hood. Karen, I LOVE the comic look to everything. Great choices and interaction. This is giving me a TON of ideas. Thank you for this. Great layout and animations Karen. Supah creative! Another awesome challenge! Here's the link for my entry to the challenge: https://74c5eb2f80a3de1e9eb897a5cf1010fe89c673c8.googledrive.com/host/0B2LnnvmEPE5qRHRfZ2U2VGVsYmc/ The challenge was really tough and confusing...needed a lot of thinking and analysis to figure out the scenario. Finally decided that will choose career path as my scenario. The scenario is all about helping a student Rohn choose his career path. Parichaya, great use of colors and layers. This has great potential. My only tip is to make the college-to-career transitions from Left to Right since most users would have a Top-Down-Left-Right sense of navigation. Thanks a lot Alexander for liking it. Its always great to have feedback from the seniors. I will surely keep note of the transition feedback. 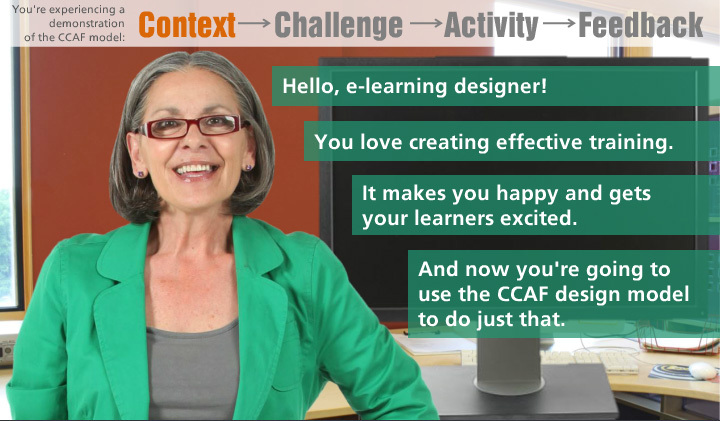 Recap posted: https://community.articulate.com/articles/examples-instructional-designers-use-branching-scenarios I'm working offsite today so will record the video overview when I get home this afternoon. Huge week of examples! You're more than welcome! I feature every example in the recaps because examples of every kind help us become better course designers. Some people share polished examples while others share quick ideas. Everything is fair game in the challenges! Thanks for participating this week. Looking forward to seeing you around future challenges. I'd love to post a project I just completed, but I have no idea how to do this, other than putting the file up in Google drive. Is there a free platform to host these files on so people can watch without having to download it? Hey Fletcher! Google Drive is an option many designers use but Google recently announced they were going to disable web hosting later this year. The next option many folks use is Dropbox's public folder but you'll need a paid account to enable the option. I'm more than happy to host your files on our servers until you have a solution that fits. Just email me (danderson@articulate.com) your published output folder and I'll upload everything on our site.